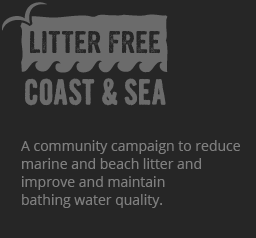 Litter Free Coast & Sea & its supporters are working together for cleaner beaches & seas everyone can be proud of! Visit Somerset is the official destination marketing organisation for Somerset. Not only do they help to share the best bits of Somerset, including its beautiful coastal walks and uninterrupted beaches, they also help Litter Free Coast & Sea spread the message on what people can do to help protect their environment & keep it clean for everyone to enjoy. Hugh Cornwell, Visit Somerset’s Chairman and John Turner, CEO explain why they are supporting the campaign. “ Beautiful beaches are the settings for some of Life’s most unforgettable memories . . . of carefree family holidays, when we were young and later as parents ourselves; of somewhere to share secrets and laughter with a special friend; of walking the dog alone, enjoying those precious moments of quiet reflection. But nothing can spoil these idyllic moments like cutting one’s foot on some broken glass lying in wait under the sand; or seeing some ugly discarded plastic rubbish fluttering in the breeze; or treading on dog faeces that the dog owner could not be bothered to clear up.